How many smartphones have you purchased in the last decade? 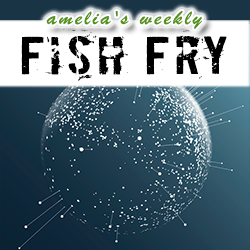 In this week’s episode of Fish Fry, MediaTek General Manager Finbarr Moynihan joins us to discuss how the smartphone revolution is facilitating new avenues of engineering experimentation. Finbarr and I investigate why form factors and feature sets are changing the engineering ecosystem, and how predictive technology, machine learning, and artificial intelligence will shape how we engineer the next generation of handheld devices. Keeping with our evolutionary theme this week, we also take a closer look at how the regenerative qualities of the planarian flatworm are changing our views of how space travel could affect our bodies.